Have you ever been bitten by a loud little dog? In the back of your knee, or maybe in your hand? That does sometimes happen, even though the critters in question “never bite”, as their owners assert. Let’s take the big ones. They can give you a deep growl and a loud snarl and still be basically nice critters, more playful than vicious. Gentle giants … Then there are the mean little ones! Tugging at their leashes, they bark at anything that moves. They are really aggressive, despite their tinyness. Really mean, the opposite of those big members of their species. Panning over to GRP, we find astonishing parallels to this animal world. Those who might not know the „big one” should look at the test report on the GRP A8. 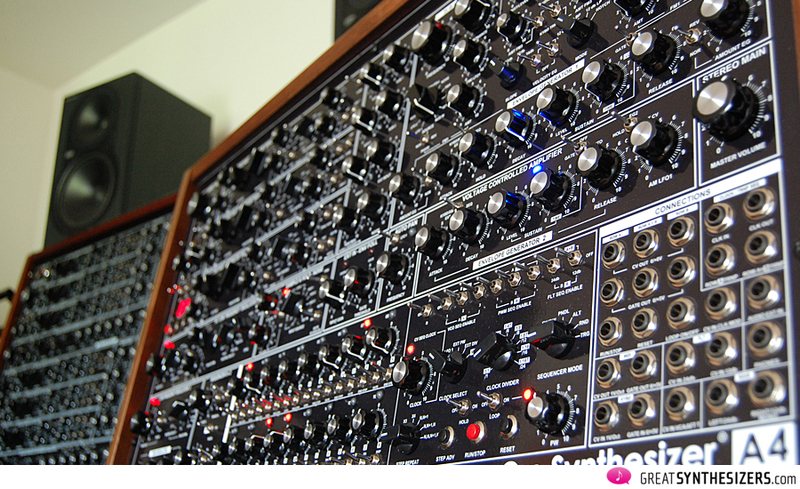 A feast for the eyes, that synthesizer, and tonally state of the art, there’s no doubt about it. Essentially the GRP A4 can do what half of an A8 can do, excepting the fixed filter bank sounds, of course (this module is missing). In the last months, I confess, I was a bit sceptical as to whether an A4 really had something “new” to offer. Being just “half an A8” – which is what it looks like on paper and at a glance, and which is what all the online information and forums and discussions, etc. would seem to insinuate. Let’s be honest, it just isn’t that way. The A4 has many (sometimes unexpected) special features that neither the big A8 nor any other instrument offers. 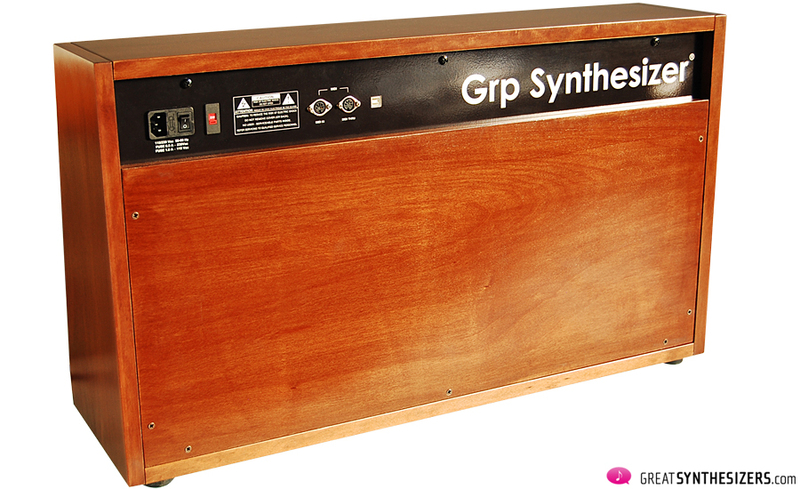 It’s a completely independent synthesizer – not just within the GRP group. Fundamentally independent. 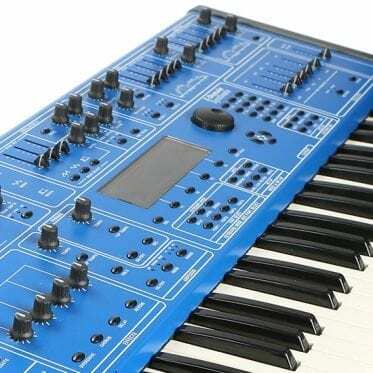 The A4 is a monophonic synthesizer with MIDI and CV/Gate. It measures 81,5 cm (width) x 47,5 cm (height) x 25 cm (depth). It is relatively simple to transport, although surprisingly heavy (22 kg). The synthesizer is extremely user-friendly – its biggest asset, along with its sonic flexibility and superior sound quality. 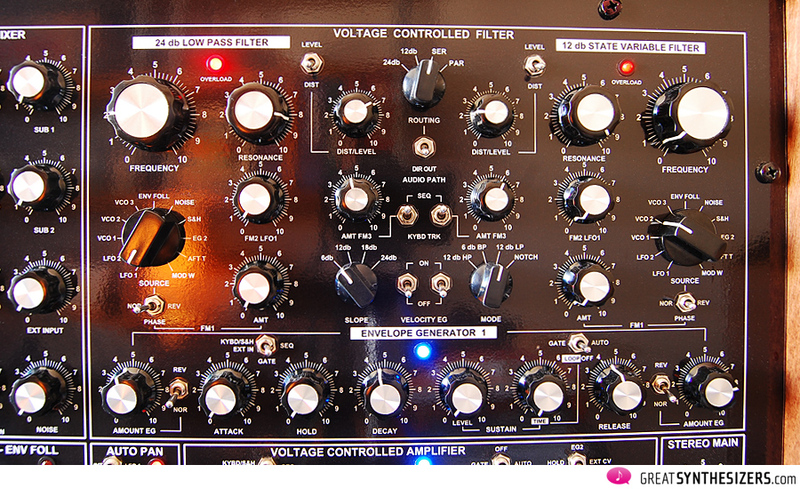 A synthesizer for freaks and purists, THE once-in-a-life treat for some. Where to begin? Perhaps indeed with the A8. Again, I recommend taking a glance at that earlier report and listening to some of those soundfiles. This inadvertently also says a lot about the A4. And we gain the freedom to dedicate this report exclusively to the new GRP A4 – that aggressive critter tugging on its leash. 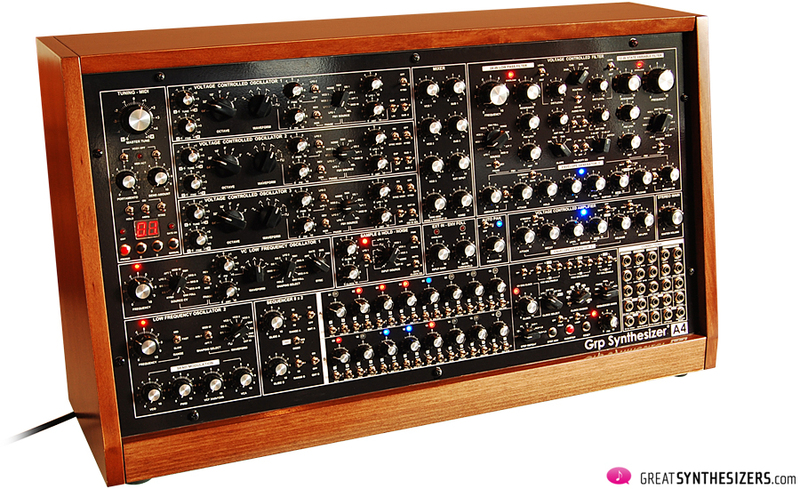 At first glance, the classical basics are those of a Minimoog: 3 oscillators, 6 waveforms and a 6-position-range switch per VCO. 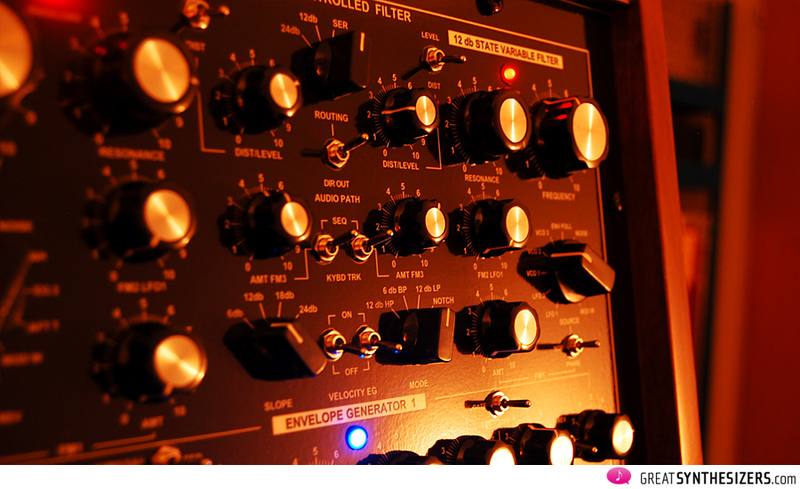 Oscillator-synchronization, ringmodulation … we’ve already left the Minimoog far behind. From here it’ll be slow going. We don’t want to miss any of the subtle innovations. Here a reduction (now “only” 3 modulations sources for PWM – LFO 1/2, sequencer – in opposite to the 12 to be found on the A8 – 11 + sequencer), there an enhancement (improved FM options: 11 powerful modulation sources, now including velocity, aftertouch and modwheel). Increased beating according to finger pressure …! A wonderful feature, demonstrated in the soundfile „3VCOvelocityFMsolo“. 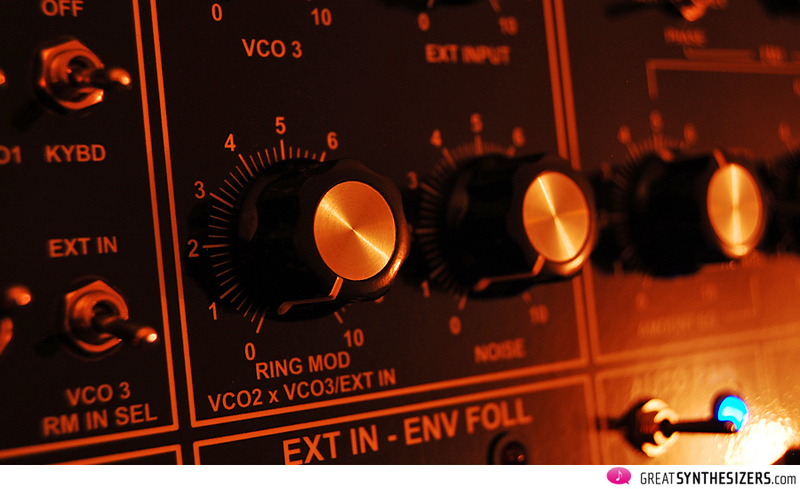 The mixer regulates the volume of VCO 1/2/3, sub-oscillator 1/2, ring-modulator, noise and the external audio signal. We’re going to spend a little time here. The extensive filter department of the A4 is in many respects, hmmmmm ….. spectacular. The basic outfit – two VCFs useable individually as well as in series or parallel – hasn’t changed a bit since the A8. 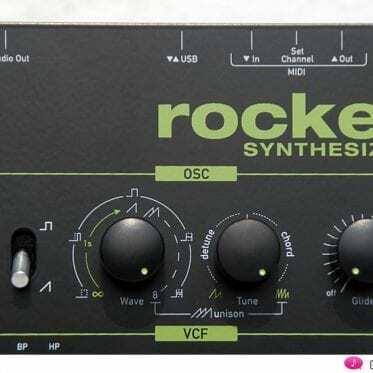 However, the following innovations have turned the A4 filter setup into the mightiest sound weapon on the analog synthesizer market. Direct Out. Unique! The 24dB filter is relegated to the left audio output, the 12dB filter to the right audio output. Result: a fabulous stereo audio image, emerging from the shadows of the GRP A8 and in fact outdoing its predecessor because of the improved modulation possibilities of the VCFs. switchable 6/12/18/24dB low pass filter. 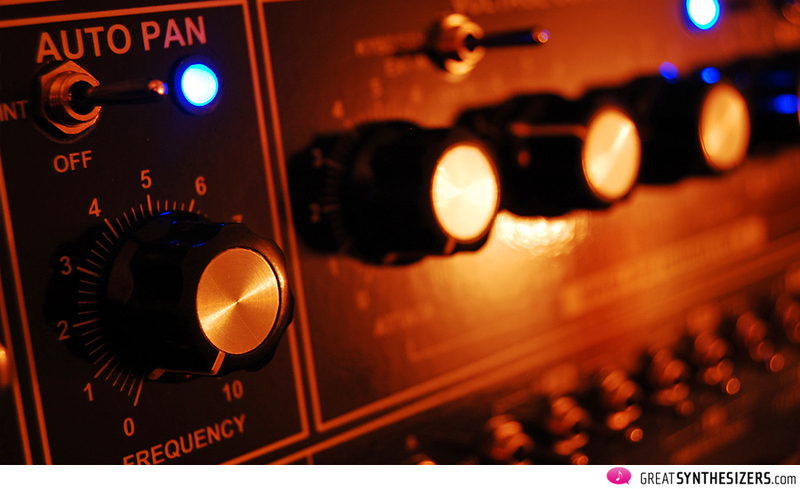 The slender 6dB I find to be especially attractive – a refreshing alternative to the tried and true 24dB filter sound. Well, to be honest – the filter sounds are beyond description. A major feature is, of course, the new distortion function, along with sound enhancement thanks to the (filter) direct-out mode. Need convincing? Listen to “3VCOliveSequTrigFMVCF_2″ attached to this review. No auto-pan is used, even if you think you hear it. Instead, both filters are sent separately to left and right output, independently controlled by VC LFO 1 … which, in effect, results in an auto-pan image, with increased flexibility. By the way: this function DIR OUT (practically invisible – there is just this little silver switch), is a by-product of the huge A8. From the very beginning it was clear that the biggest deficit of the A4 (in comparison with the A8) would be the missing stereo sound. The only possibility to counteract this was to split the A4 signal path at a certain point. This probably caused some headaches among the technicians. Which is why Paolo Groppioni handed the A4 prototype over with a shoulder buff and a wink and the comment: „THIS was a lot of work“. Be that as it may, splitting the signal into a 24dB LPF- and a 12dB multi mode-path really paid off. At this point, we must mention a further improvement. For the first time, it is now possible to choose between positive and negative intensities during all modulation processes. This was one of the great weaknesses of the big A8. 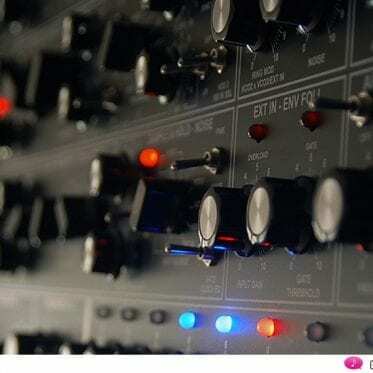 Despite its nobly equipped sound engine (6 VCOs, 4 VCFs, 7 envelopes and 3 LFOs, …), basic stereo filter-sweeps (such as contrary modulations based on the sine wave of a single LFO) were just not possible. These problems have been solved with the A4. Very good. And not only very good, but also absolutely necessary. Especially such simple effects as stereo filter sweeps should be basic equipment with all analog synths. (Although, in reality, this is only the case with a very few of the non-modular instruments). The two envelopes are for the VCFs and the VCA respectively. The envelope amount can be adjusted separately for the 24dB- and 12dB-VCF (again, with positive and negative intensity). The LOOP function is new. Once activated, it auto-triggers each envelope, whereby the trigger-speed is in direct relation to the envelope settings. 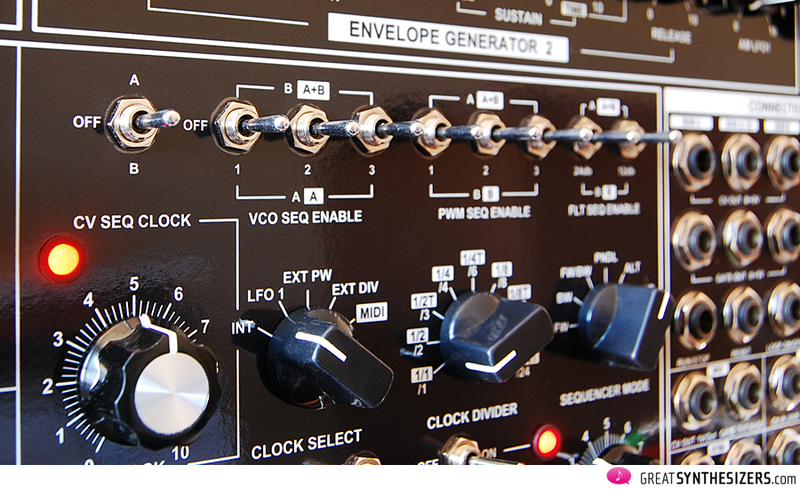 EMS VCS3 / AKS synthesizers have this function, but also the EDP Wasp and the OSCar. Viewed in this light, we have two „additional LFOs“, because in effect, the cyclical sequence of the envelopes comes very close to the result of an LFO modulation. Whereby all modules – LFOs and also the loop-EGs – go far up the audio range, thus providing the basis for sublime experimental tonal results (this includes premium vocal sounds). If the loop function is set to GATE, it will only be enabled if you hit a new key. This can be of special importance when playing legato (when only single notes within a melody are effected by the loop EG while all others stay unchanged). Players with only basic piano skills can also profit from this feature. Legato can be programmed step by step via MIDI (and a software sequencer). This has the advantage that gate times and velocity values can be precisely programmed, and that the A4 sequencer may be clocked to MIDI (as well as LFO 1 … and auto-pan). This is just one example of how flexible the A4 is when controlled by MIDI. The „main“ VCA section contains an ADSR envelope. This VCA may also be controlled by VC LFO 1 and – adjustable in the LFO 2 section on the opposite side of the instrument – by LFO 2. And there’s even an external CV input for the VCA. This is especially interesting in combination with the internal step sequencer. 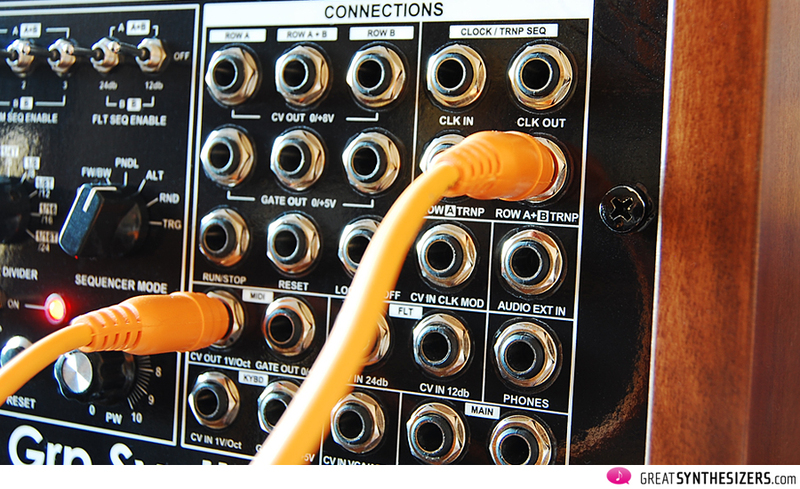 With the help of a short patch cable you’re able to route any of the two sequencer rows to the VCA. A nice little feature. Panorama movements are always an eye-catcher („ear-catcher“). Admittedly, the A8 is in a completely different class in this respect. 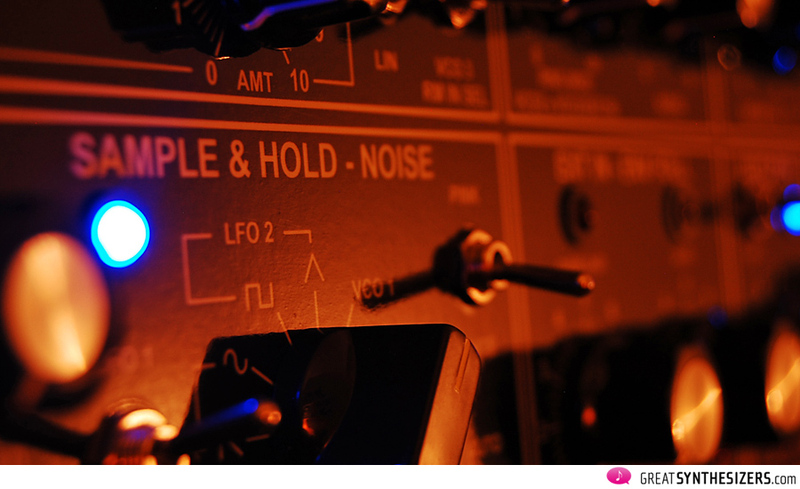 For the simple reason that it can produce two simultaneous sounds which can be outputted in opposing directions. The resulting sound is unbelievably dense. The singular panorama movement of the A4 (the usual movement of one sound from one side to the other and back again) just can’t compete. From the musical stand point I would have wished for a not-quite-complete shift from right to left and back. The 100% shift causes some irritation in your sense of balance and makes you a little dizzy (really! ), at least when you’re using headphones. A partial shift (80 or 90%) would have been better, in my opinion: a remnant of sound should remain on each side. Other musicians may feel differently about this, it’s really a question of personal usage and personal goals. But however you look at it, this doesn’t play a significant role with the GRP A4. Simply because the user can create his own personal auto-pan in the filter department. We mentioned this briefly: the stereo-modulation of the two filters in DIR OUT mode … which results in an auto-pan image, with increased flexibility. Switch the filter routing to DIR(ect) OUT. Set both filters (left and right) to 12dB low pass. Now turn up frequency modulation by LFO 1 (FM path 2), set the left intensity to positive, the right to negative. Voilà … you’ve got a perfect auto-pan sound. Now, let’s go a few steps further. Switch the left VCF to 6dB and the right to NOTCH. Keep LFO 1 for the left filter modulation and choose LFO 2 for the other … we’re already far beyond the usual simple, boring auto-pan settings. And yes, I told you there are 6 (!) FM-paths with each filter – so you can imagine how flexible the „stereo modulations“ on both VCFs can be. A few more steps: use the internal sequencer, experiment with sample & hold, raise LFO 1 speed to 1kHz, etc. The creative possibilities by just fiddling around seem endless. And we haven’t used MIDI yet … add some velocity- and modwheel-control. It’s great fun! An independent auto-pan module still has great advantages. Once enabled, the sound moves automatically from one side to the other (of course …) and auto-pan can be synchronized to LFO 1 (and thus to MIDI). 5 waveforms, voltage controlled speed (11 modulations sources), voltage controlled modulation amount (again, with 11 modulations sources), synchronization-possibility to Gate (any incoming note), to the internal step sequencer and, of course, toMIDI. LFO 1 speed ranges from “very low” up to audio range (2,5 kHz!). Isn’t this impressive? 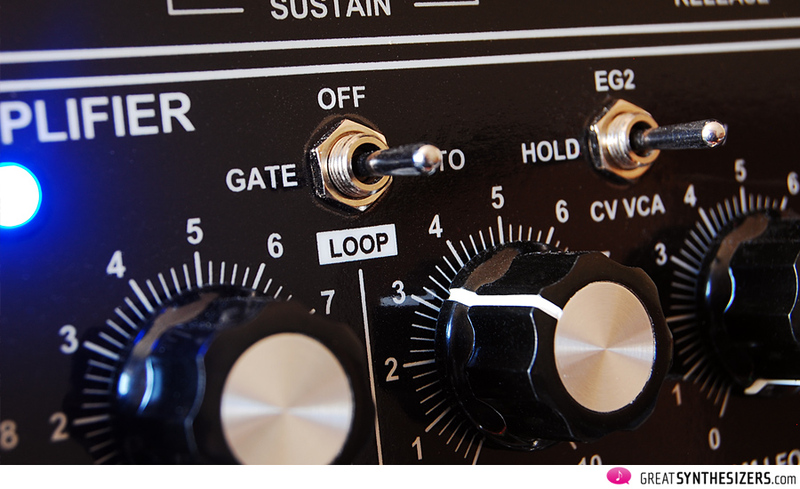 By the way, for many years now I’ve thought the term „LFO“ is somehow inadequate! Technically speaking, it is not completely correct and it does not exactly describe what this module is capable of doing! 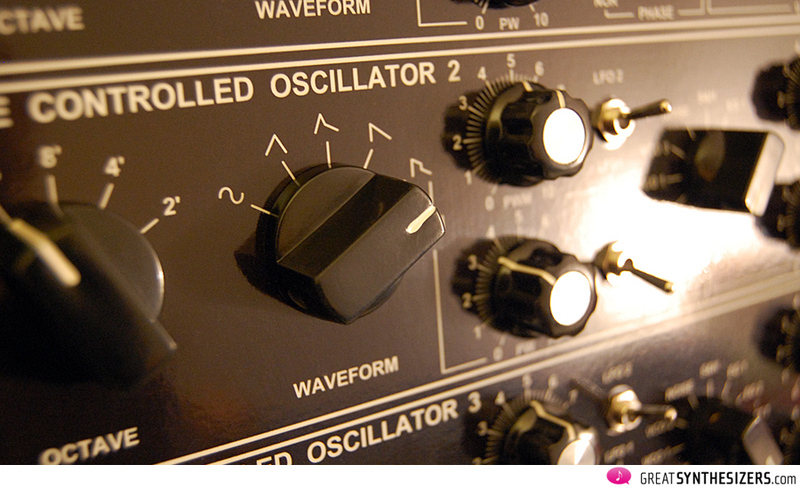 „Control Oscillator”, for example, would have been a much better choice. But ok, I don’t have any influence on that. 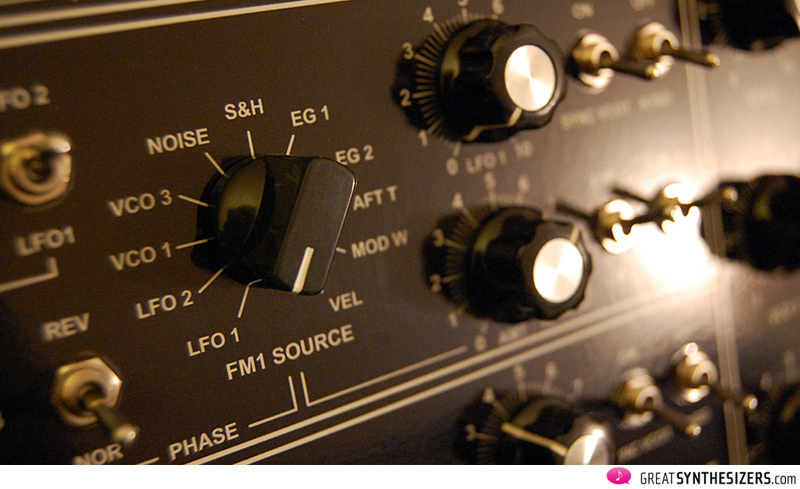 The term „LFO“ has been in use for at least 3 decades now. It originated in the early days of analog synthesizers, when the „low frequency oscillator“ was in fact nothing else but a very slow impuls generator, responsible for nothing else but simple vibrato- and wah-wah-effects. Things have changed. Many of todays LFOs are extremely powerful tools that have little in common with their ancient predecessors. Let’s have a look at VC LFO 1 of the A4. Its speed is voltage controllable by either of the two envelopes. (Ok, we’ve had this since Yamaha’s CS-80 in the late 70ies). It’s controllable via aftertouch. (This is also not new, although it’s still a very nice feature). Let’s see what else we’ve got … ah yes, LFO speed is controllable by the step-sequencer! That’s amazing! 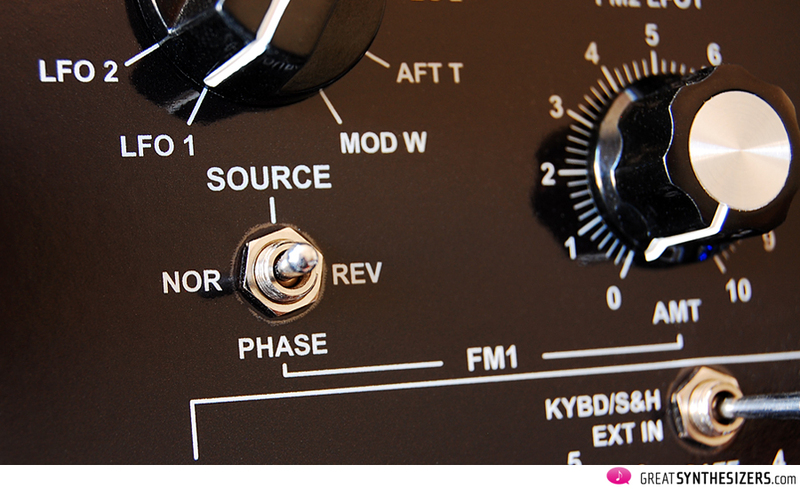 Choose, e.g., SEQ A and see how LFO speed changes dramatically with each new step (5 Hz – 1233 Hz – 209 Hz – 0.2 Hz, etc.). Depending on the sequencer’s working range (2V / 4V/ 8V), you could end up with stunning modulation effects created by an LFO gone completely crazy. Listen to our appropriate sound file: LFO1_VCby_SeqA-B. At first I considered this LFO as being just a nice addition, an aside-module, something less important. Well, I was wrong! 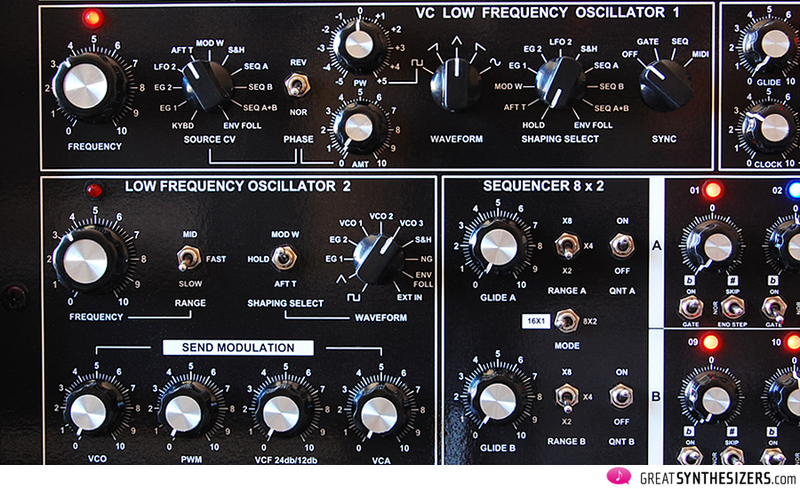 Basically, LFO 2 serves as modulation source for the instrument’s main destinations: VCO (all oscillators), global PWM, VCF (both filters) and the final VCA. In this respect, LFO 2 serves as a “global” modulation tool. Its speed can be switched low, medium or high and its two basic waveforms are triangle and rectangle. So far, so good. Nothing special about that. But there are special features! Dynamic control of modulation intensity is one of them. Modulation amount may be controlled either by the modwheel or by aftertouch. Very nice. Press a single note a little harder while playing a solo and listen to the vibrato flowing into the sound. Let’s try it with an example. Choose LFO 2 as modulation source for the 24dB lowpass filter (FM1 path, switch to “LFO 2”, of course) and set the waveform of LFO 2 to VCO 3. Now it’s VCO 3 that controls the 24dB filter. Up to now it’s easy to understand. Smart people might argue that it would have been a lot easier to select VCO 3 „directly“ as modulation source (filter FM1 path offers 11 possibilities, you might remember – all LFOs, S/H, all VCOs, etc.) in the filter department. I’d agree to that. But all the filter FM sources are „static“ sources with a „static“ modulation intensity. Using VCO 3 through the LFO 2 path results in “dynamic” musical results. Press individual keys harder and control filter FM (by the VCO) with your fingers! Do the same with sample&hold … the sonic results are fascinating. 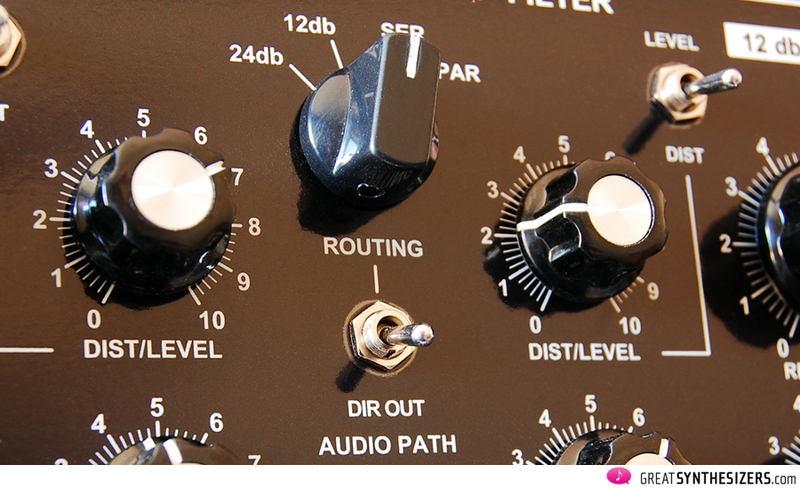 Or use the master keyboard’s modulation wheel for real-time modulation amount control … I’ll leave that up to you! Ah yes, this socket functions for both VCA and AFT T control. 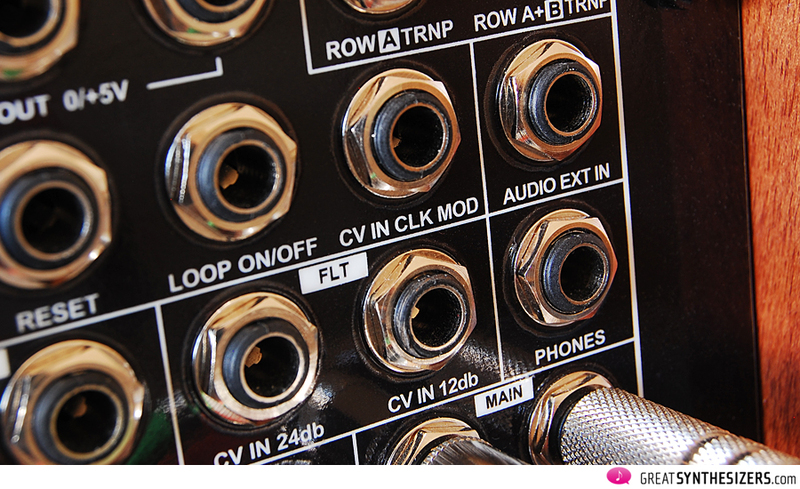 Tip = VCA, ring = AFT T. It’s the only stereo socket on the GRP A4 patch panel. It should be clear by now that the potential inherent in the LFO 2 is dramatic. We’ve mentioned many details of the A4. 2 LFOs, 2 loop-EGs, auto-pan, custom auto-pan (via filter direct out mode) … in addition, sample & hold just can’t be done without. There’s white and pink noise as a basis for the random source. Then there are 11 signals for generating the S/H effect, including the external (!) audio signal. S/H can be clocked to LFO 1 (and thus toMIDI), and there’s glide, too. Last but not least, GATE allows the activation of S/H to be limited to hitting new keys … we’ve already discussed this with the loop-EG function and basically it works the same way. CV SEQ CLOCK: row A or B can now be used for speed control (as with the old but wonderful Korg SQ-10 sequencer). This allows for syncopation and other rhythmical niceties. The downside of course, is that you loose one of the two sequencer rows. But we have the solution at hand … (please continue reading :o). CV IN CLK MOD: it’s also possible to use an external control signal for speed control. There’s a CV IN jack in the patch area. Excellent. 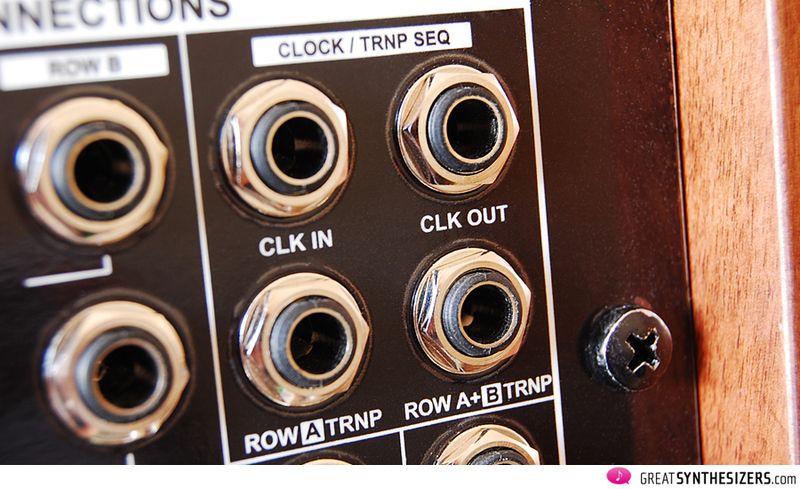 ROW A / A+B TRNP: this allows merging sequencer and MIDI data for external CV/Gate use. 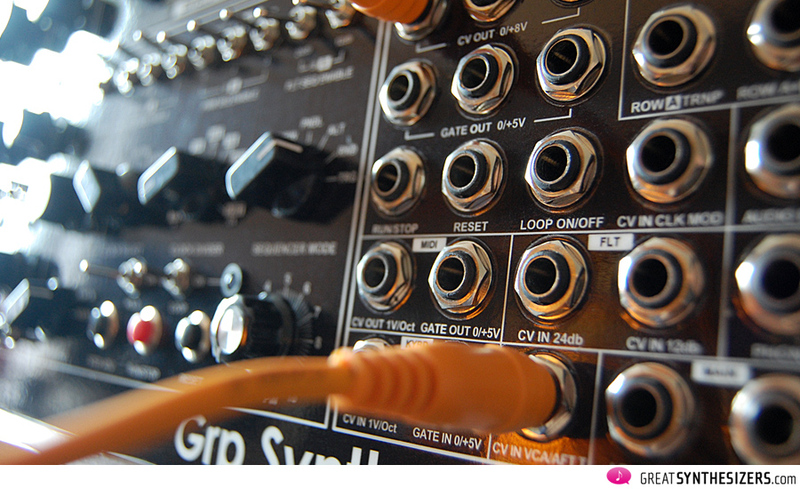 Patch MIDI CV OUT with (e.g.) ROW A+B TRNP for real-time sequencer transposing (via MIDI) of any CV/Gate synthesizer connected to the A4. This is not necessary when running the A4 itself (here, MIDI- and sequencer-data is merged internally and automatically in the VCO section). 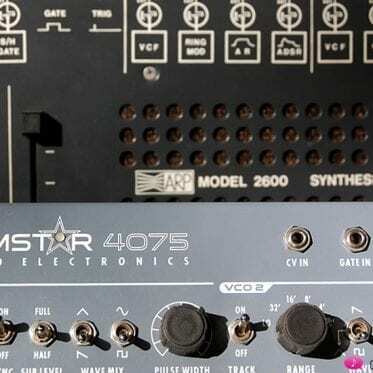 But it’s necessary when controlling other analog synthesizers (such as Roland SH-09, ARP Odyssey, etc.) with the A4 sequencer. 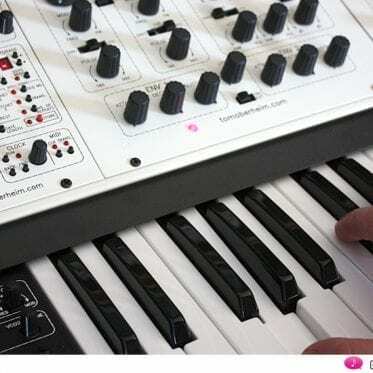 Logically, you want the outputted sequences to follow your MIDI-masterkeyboard transpose commands, of course! And there you have it, the solution we promised you. I’m sure you have those legendary sync sounds of the 70s and early 80s in your ear. 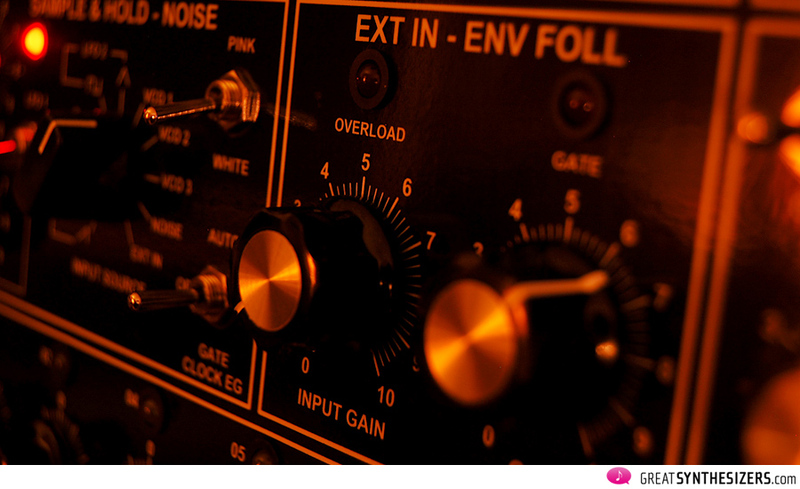 Screaming like an electric guitar was one of the most characteristic sounds of analog synthesizers. There are many ways to obtain this typical sync-effect. LFO modulation of the slave-oscillator is probably the simplest one. Those who want to play more expressively will try to control the sync-effect with their fingers, instead. Via pitch-bender, for example. And this is why you need the VCO 1 OFF switch. 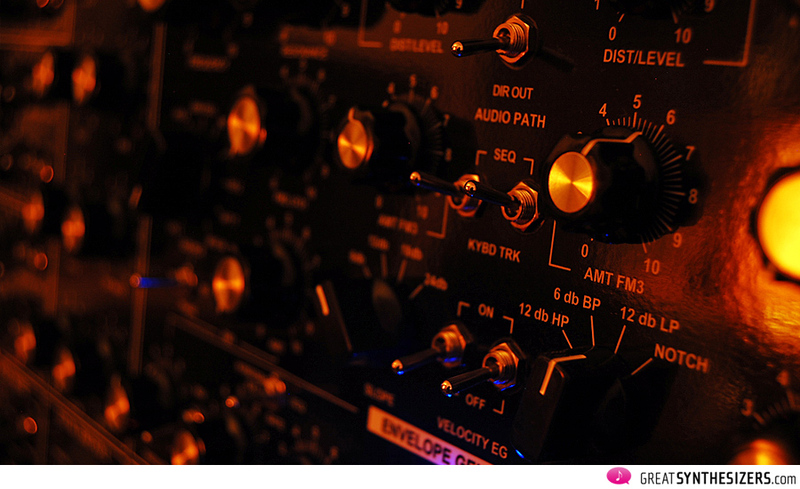 Since bending all VCOs would result in no sync-effect at all, the master-oscillator (VCO 1) must be disabled. It’s a simple, but absolutely necessary detail. And it’s one of the important features that the large A8 is missing (although this instrument offers other advantages, I have to admit). 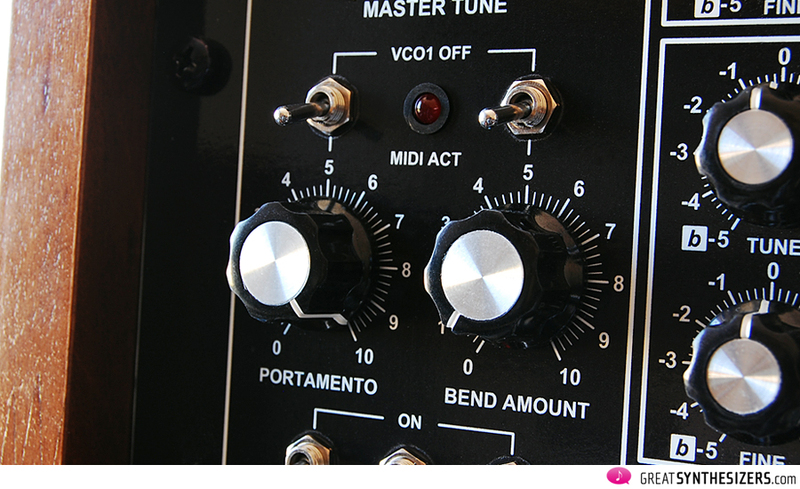 Paolo Groppioni even went a step further: VCO 1 OFF is also available for portamento. So, while the 1st oscillator immediately plays the correct pitch, VCO 2 and 3 get there slowly, depending on the portamento time you set. A great source of subtle (or drastic) sound effects. That sounds exciting, right? Since I never use a microphone in my studio (I don’t even own one! ), I have to refer to Enrico Cosimi for sound examples. He demonstrates the EXT In / ENV Follower module very well in his third GRP A4 Youtube Video for Audio Central Magazine. You can also learn a little Italian in the video, which is always handy! The CV/Gate panel gives us clear information as to which possibilites there are for control voltage. Many of these have already been discussed. On the back of the A4 there’sMIDIIN / THRU and USB. This last interface is no substitute for MIDI. 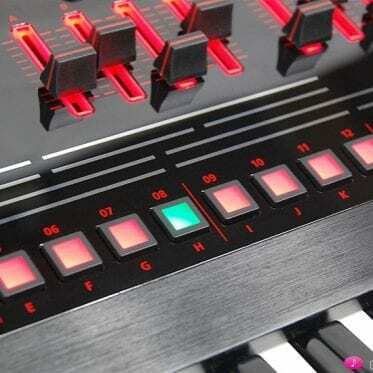 It enables eventual firmware updates (sequencer & MIDI program). And, is the GRP A4 good? Almost. Even the GRP A4 has some things missing, and some solutions aren’t ideal … Exactly two things come to mind. 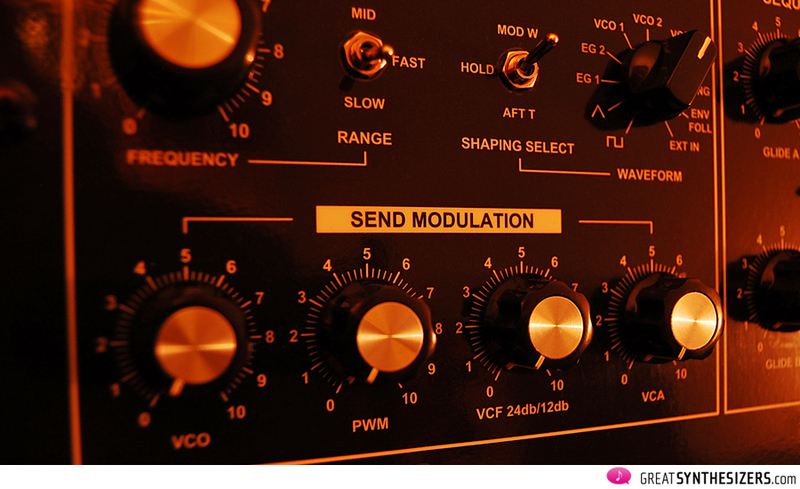 First, filter frequency modulation is not possible via pitchbender. I was really surprised that, with all the sophisticated technology of the A4, this simple and very important aspect was not taken into account. Sure, there are tons of modulation sources for both filters: modwheel, velocity, aftertouch, all 3 (!) VCOs … however, the pitchbender can not communicate with the filters. This might be no “really big” problem for most musicians, since the modwheel is also there for modulation purposes. But what if you use a Roland MIDI keyboard? It usually has a stupid pitchbend-modwheel combination, offering only very limited modulation performance control by shifting the whole thing a few millimeters (!) away. This is no substitute for a real modulation wheel, not at all. 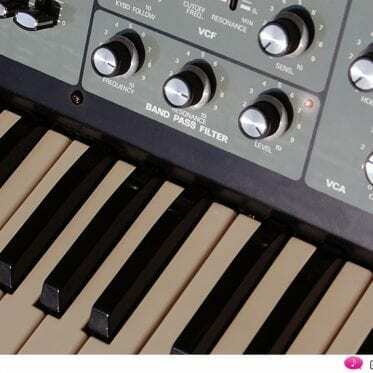 Certainly, there are other companies whose keyboards feature two proper wheels, one for pitch bending, one for modulation: Yamaha synthesizers, Kurzweil keyboards, the Alesis Andromeda, the John Bowen Solaris, etc. Better to use one of those keyboards to control the A4! The GRP A8 is no longer manufactured. It’s too big and its production is too expensive. But the GRP A4 remains in the sales program. It remains to be said, that even the A4 has a limited production. GRP has extended the production plan somewhat and is going to build a total of 55 units. At the moment, 37 of these have been prepaid and thus ordered. True, there is a realistic chance that a second (in 2013/14: third, in 2015: fourth) edition of the A4 will be produced. Production of this little critter is simple easier than that of the “big dog” A8. Update February 2016. The GRP A4 is completely sold out. After 4 years of production and after assembling 180 instruments, Paolo Groppioni now concentrates on new (smaller) instruments. Update April 2017. 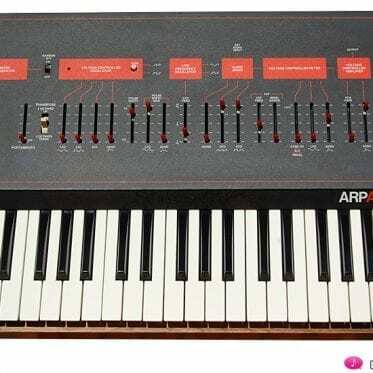 Demand on the GRP A4 is hight (especially since Jean-Michel Jarre uses the A4 on stage). There’s another A4 series now in 2017 and 2018 … contact GRP for ordering! Price: € 3,987.– plus VAT and shipping. Thank you so much for this in-depth assessment! Soundfiles are also representing very well all instruments palettes I think . So would you keep it or replace the A8 with it ? Maybe the Solaris is enough -;) even not comparable of course. Hello Isham! I sent the prototype back to Rome last week and ordered the A4. It is soundwise very different from the A8 … but certainly the “big dog” is allowed to stay in the studio, I have to admit I like it a lot. The GRPs fullfill all monophonic (and analog) jobs, and the Solaris covers the polyphonic needs – they complement each other well. Thanks, Kodoish! A wise decision to go for the GRP A4. 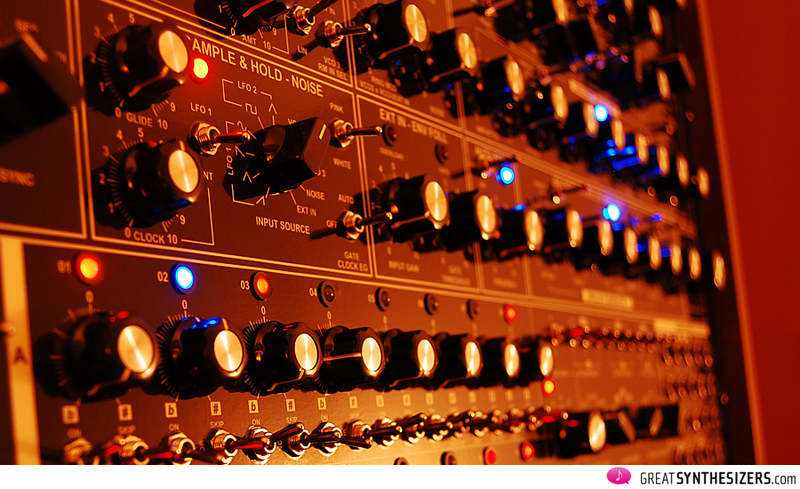 It’s a serious music instrument, probably one of the finest (monophonic) analog synths of all time. Got mine yesterday. Wow, that was a looooong waiting game since november. The synth itself is insane. I also used it as a “global” filter for my vermona perfourmer (going thru the ext in). Great to hear you received your A4. Yes, possibly the prototype’s wooden case was heavier, I have to check that out (… my A4 will arrive end of September). Thanks for the great TEST. I am waiting for my GRP A4 2013. I would like to know what model of keyboard MIDI controller you use for your GRP. A word of advice, thank you. You can use “any” MIDI keyboard with velocity & aftertouch. Since the audio range of the A4 is so extensive, a 76-note keyboard “might” be a good idea – so you have some extra notes to play in the bass area and a few extra notes on top. A second advice is to go for a MIDI keyboard with 2 wheels (pitch / mod). 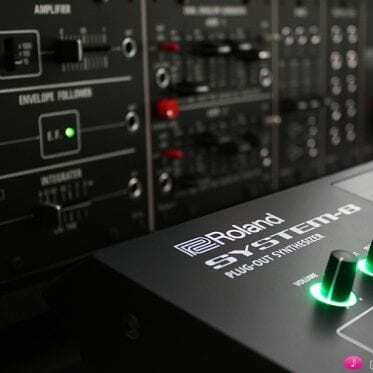 In other words: Roland synths are usually not “that” ideal, since their combined pitchbend/mod lever is a big compromise (you can’t activate the modulation and just leave it, you have to press the lever all the time, which is quite stupid). PS: to be honest, I use a Roland MKB-200 masterkeybaord (with that, hm, imperfect pitch/mod architecture), but only because the keyboard feels so soft (which I like) and – most important – because it has 3 (!) parallel MIDI outputs and independent control of 2 different sounds / MIDI channels. E.g. : pitchbend can affect synth No 1 only, while synth No 2 stays unaffected … great stuff for interesting sound layering (and sound detuning). Your advice will be very valuable for me. Are oriented on an AKAI MPK 88, I hope goes well. Thank you. This choice is very difficult for me. The only 76 keys that I have found is the Studiologic VMK … but it does not have wheels, only joystick. I think I play my GRP with my OASYS 88 or my Andromeda, but this does not make me happy. thanks for your precious support.. But according to your experience might be fine Studiologic VMK 76 ? This is the only 76 keys that I find on sale, otherwise all 61 or 88 keys. It’s the VMK-176, right? It looks ok. Whether you need weighted keys (with hammer action) to play a synthesizer or not is upon you … I think it’s a bit strange that this (huge) keyboard has an external (!) 9v power supply (or USB, alright) – I hate those external PSUs. A professional instrument needs a professional plug (but again, this is my very personal opinion). Other than that – the StudioLogic VMK-176 looks very smart (great design) and I’m sure it would do a good job in controlling the GRP A4 …! 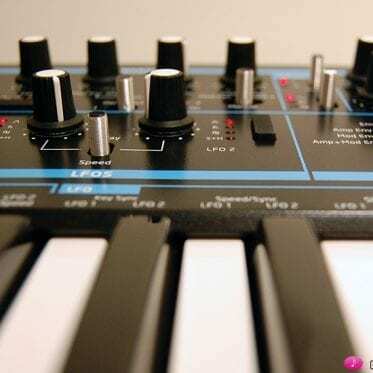 You are right, I found this: Studiologic VMK-I76 what do you think?